Often the most vital or desired hotel or destination-related information doesn't 'fit' under otherwise intuitive website navigation. Even ours! Hence, our ABOUT tab where visitors may just find what they need, want or expect most to know. InterContinental Kansas City at the Plaza is one of the most affordable Greater Kansas City area hotel choices. 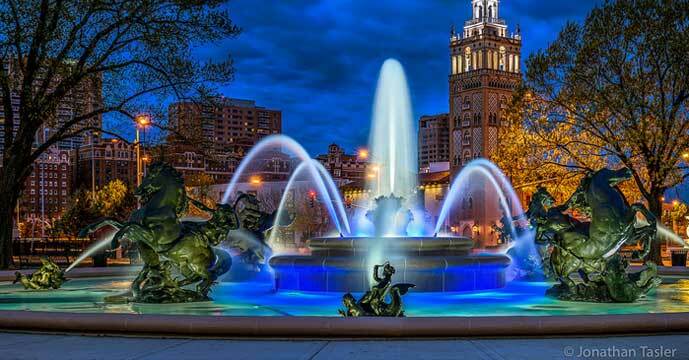 And near to much of what you came to do and who you came to see…including, of course, the renowned Country Club Plaza. Kansas City International Airport is served by AeroMexico, Air Canada, Alaska Airlines, American Airlines, Delta, Frontier Airlines, SeaPort Airlines, Southwest Airlines, Spirit, United Airlines and US Airways. Rental cars are available at the airport. These maps/directions are informational only. No representation is made or warranty given as to their content, road conditions or route usability, or expeditiousness. User assumes all risk of use, Google, TPG Hospitality, and their suppliers assume no responsibility for any loss or delay resulting from such use. 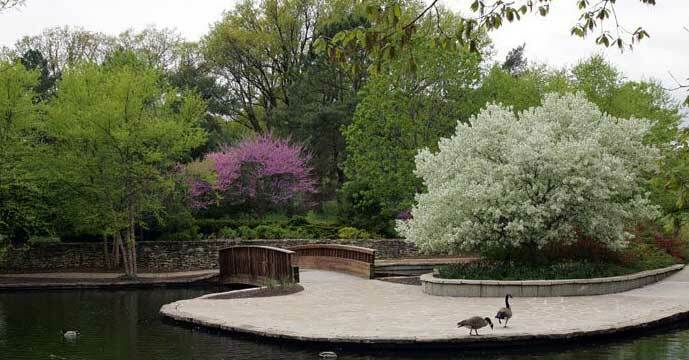 What’s so special about the Greater Kansas City area? Everything there is to see and do. And visitors soon discover the proximity of InterContinental Kansas City to whatever piques their interest. It is those specific points of fun and interest, diverse venues, activities and attractions – some even free – that have broad tourist appeal for family or solo travelers. What to do? View it all here. The Country Club Plaza is a popular, highly acclaimed, well recognized American premier retail, dining, entertainment and residential destination in Kansas City, MO. The 15-block district is an exceptional blend of more than 150 major fashion houses and local favorites, along with dozens of fine restaurants. And it is located one short block – across Brush Creek – from InterContinental Kansas City at the Plaza. Shoppers will recognize fine stores like kate spade new york and Michael Kors. Original Kansas City stores like Baldwin KC and Tivol are local contributions to the Plaza’s reputation as a national fashion center. Pleasant surprises can be found along each block – from quaint boutiques to delicious chocolatiers, couture clothiers, stylish salons and fine jewelry. The Plaza dining experience ranges from contemporary American to Kansas City steaks, authentic Italian to cosmopolitan burgers. It can be the hot spot that caters to the late crowd or a quiet courtyard café for the more subdued. Plaza restaurants offer an atmosphere that many other districts emulate, but no other district can duplicate. The Plaza is lively year ‘round with an eclectic calendar of music and special events, including the famous Plaza Lights (Thanksgiving to New Year’s Day) and the widely recognized Plaza Art Fair. Come experience for yourself its rich history. 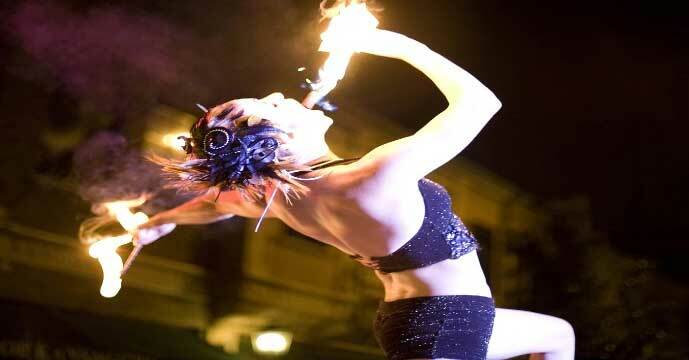 Throughout the year many events and festivals take place throughout the Greater Kansas City area. How fortunate you will be to be staying in one of the best hotels near the site of the Country Club Plaza Art Fair plus loads of other area attractions, entertainment events (arts and cultural), shopping, sports and recreation venues. Click here to view information regarding upcoming Kansas City events – from food fairs to family-friendly festivals. The InterContinental Kansas City at the Plaza is a superb location for in-bound travelers to Kansas City visiting the area’s diverse and amazing universities, including guests, parents and prospective students. An ideal venue for getaways of all sorts, our Kansas City MO hotel is near top area attractions, including Westport, KC Power & Light District, Crown Center and more. Come discover Kansas City’s renowned higher learning institutions near the InterContinental Kansas City. Check out the Kansas City weather forecast. To make a reservation for your Kansas City visit, book online. InterContinental Kansas City at the Plaza is committed to making our public areas, hotel rooms and amenities ADA accessible to guests with disabilities. And to making those with disabilities (and their service animals if traveling with them) feel welcome. For additional information regarding our hotel’s accessibility-related facilities and amenities and call 816-756-1500. Guests find InterContinental Kansas City at the Plaza to be one of the most eco-friendly hotels around. Why? InterContinental Kansas City at the Plaza is an IHG® Green Engage Hotel. Guests can be assured when they stay at an IHG Green Engage Hotel, they are participating in an advanced, world-wide sustainability effort. It is important for IHG guests to have an active role in protecting our environment and that’s why we’ve made it easier for them to choose a hotel that matches their sustainable values. IHG Green Engage is an online system that gives our hotels the means to measure their day-to-day environmental impact. Hotels signed up to the system can track how much energy, carbon and water they’re using and how well they’re managing waste. At the same time they can choose from over 200 activities designed to help them use fewer resources, improve their carbon footprint and reduce their water use. We created IHG Green Engage to help us design, build and run greener hotels. Every time you stay at an IHG Green Engage hotel you’re boosting our efforts. How can guests make a difference by choosing an IHG Green Engage Hotel? IHG is one of the world’s largest hotel companies which means every single thing we do can add up to a big difference, from smart design and carefully selected lighting to bio-friendly cleaning materials. By choosing an IHG Green Engage hotel you’re helping too. Check out our eco-friendly hotel rooms and suites for an ideal Greater Kansas City area stay. Then reserve your hotel room today. From transportation to and from Kansas City International Airport (by limo, shuttle, taxi, rental car or metro bus service) to parking in the InterContinental Kansas City’s private parking garage, you’ll find everything you need to know here. For guests of InterContinental Kansas City arriving by car, self parking is available in the hotel garage. Key access entry from the garage is required between 11 PM – 6 AM. Self parking is $18; valet parking is available for $22 per night. Parking charges include in-and-out privileges. Uber moves Kansas City! Whether you’re headed to – the airport or out and about to any of Greater Kansas City’s many attractions or events, Uber connects you with a reliable ride in minutes. One tap and a car comes directly to you. Your driver knows exactly where to go. And payment is completely cashless. Get a fare estimate. Our unstaffed Business Center – operated by Eleven Wireless and located midway between the lobby and ballroom levels – is open 24/7 and boasts computer work stations, copier, fax machine and printer. Additionally, FedEx/Kinkos and UPS Store facilities are also located on the nearby Country Club Plaza. The hotel’s on-site Fitness Center will satisfy all fitness needs and includes Centurion nine-station gym, sauna and locker rooms. Terrace gardens and jogging trail are nearby. Plus guests may enjoy an outdoor heated pool, sundeck and children’s pool if aquatic fitness is preferred.